Ready to move out on your own? Whether you’ve had enough of living with your parents, living with roommates, or are moving in with your significant other, renting can be an exciting (and stressful) time! I was there just two short years ago. My boyfriend and I were finally earning enough to split the rent on an apartment together, and my parents were moving away to retire, so the timing was perfect. However, the process was downright time-consuming and mentally draining. While it’s fun to explore your options, making a decision and working the numbers out on the decision to rent an apartment can be tricky. Thankfully, I learned a lot the first time around. When we moved one year later, the process wasn’t as bad. 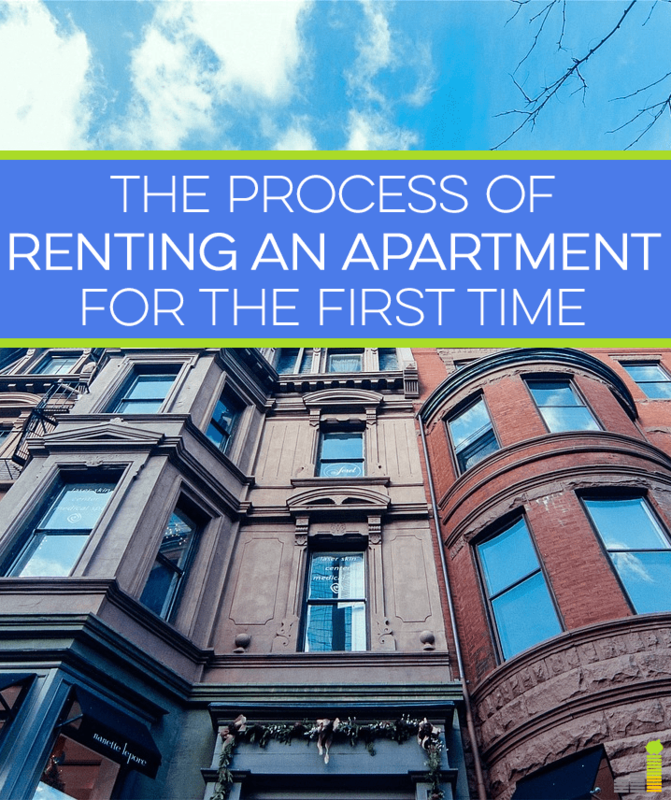 If you’re renting an apartment for the first time soon, then take these tips into consideration. I think this goes without saying, but before you even think about what you’re going to rent, you need to figure out your housing budget. As I said, my boyfriend and I were earning enough to split the cost of renting when we made the decision to move in together. I had crunched my own numbers before that, and knew it would be next to impossible to afford anything alone. It’s so important to figure out what you can afford because you need to set realistic expectations from the get-go. If you fall in love with something out of your price range, you’ll be upset, and you’ll have wasted time looking at it. If you have a budget already, this process should be fairly simple. If not, you should go through the last 3-6 months of bank and credit card statements. Tally up your expenses and income, and see what you have leftover. A general rule of thumb is that housing shouldn’t exceed 25 percent of your gross income. Get as close to that as you possibly can. Don’t forget to leave a little room in your budget for renters insurance; it’s usually pretty affordable, and something you really don’t want to go without. You don’t want to stress out about being able to afford paying rent come the 1st of every month. I would honestly recommend doing this as far out as you can. Keeping a pulse on the rental market will give you a good idea of what to expect when it comes time to look. Think of renting an apartment like comparison shopping for a car or any other major purchase; You should definitely do some thorough research before going out to look at anything. I scoured Craigslist about a week or so before we went looking. There are plenty of resources out there you can use – Craigslist just happened to be fairly active where we lived. Monitoring the listings and knowing what you’re looking for (and where) can help you identify a deal that’s too good to pass up, too. For example, from my research, I knew what studios, one-bedroom, and two-bedroom apartments were going for. I knew there was a difference based on the town, and whether it was in a home, a basement, or a complex. I still remember like it was yesterday. The first apartment my boyfriend and I saw together, we loved. While it was in a basement, we had our own private yard area, the appliances were new, the bedroom and living rooms were spacious, and I loved the color. Unfortunately, cats weren’t allowed, and the landlord was looking for people to sign a lease – two big issues for us, considering we had a cat (that lived with my parents) and were planning on relocating within a year. On the other hand, it was about three minutes away from my grandma (who I visited weekly), seven minutes away from my job, and 15 minutes away from my boyfriend’s job. It was so tough to walk away from, but in the end, we made the right decision. Looking for an apartment is a lot like buying a car. You don’t want to get super excited about it, get blindsided, and regret it later. This is where you’ll be living for at least a year, in most cases. Being miserable isn’t worth it. I’m a huge fan of making pros and cons lists and talking things out with people. If you’re moving in with a friend or partner, make sure you’re on the same page. Create a “wishlist” of things you want, and once you have a few contenders, compare them side-by-side to see which is better. Also, just because I’ve been watching HGTV and I’m sick of seeing people stretch their budget every time, always be mindful of the overall cost of the apartment. Factor in utilities and broker fees when making comparisons. A decent amount of apartments listed had utilities included, or required security, first month’s rent, and a broker fee. I always made note of that on my list. Oh, and don’t forget to snap pictures! People shouldn’t mind. After seeing seven apartments in one day, I was glad to have a reference to look back on. Things had started blurring together! After you’ve narrowed down your choices, be sure to take the landlord into consideration as well, especially if you’ll be renting from a private owner. If not, gauge how the leasing office interacted with you, and whether or not they were too pushy for your liking. I have experience with both now. We rented a basement apartment with our landlords living above us for our first year, and when we moved, we got a place in an actual apartment complex. Our landlord had a kid that was super loud, especially at night. I could barely concentrate hearing her run all over the house above us. Not only that, but fights broke out at times. It was a little crazy. We should have known better when our deposit and first month’s rent check was cashed immediately, even though we had agreed they would wait until we moved in (and we post-dated the check). They were also horrible at providing receipts. As for apartment complexes, I read reviews like crazy while we were looking, but the unhappiest people always have more reason to comment. You could also look at the social media accounts of the complex for interactions. Otherwise, go with your gut, ask lots of questions, and don’t get pressured. If anyone wants you to sign anything, read it thoroughly. You need to know what you’ll be responsible for. Don’t put off looking for an apartment. If you’re in a tight spot, you’ll be more likely to give in. This kind of happened to us, because we were stuck in a hotel for two weeks after we relocated. I was going crazy and just wanted to find somewhere to move. I had been searching for places beforehand, but we found an amazing deal that happened to expire that day. In fact, they only had one apartment left at the special rate. We had to sign without being able to look at it because maintenance was cleaning it. Alarm bells were sounding in my head. We were assured the apartment looked exactly like the one we had toured, and thankfully, it all worked out. But I would really advise against that route. Searching in advance allows you to walk away because you don’t need a place to stay. You want as much power as possible. 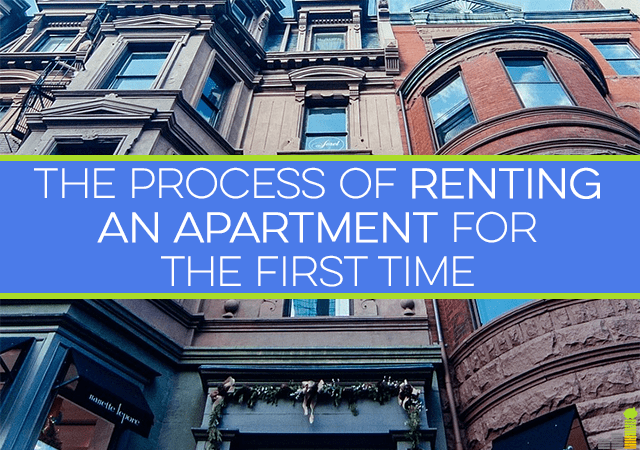 Have you rented an apartment before? What was your experience like? What did you do to prepare? Did you make any mistakes? What is one recommendation you’d give to someone looking for an apartment for the first time? Great tips! As a landlord, I would also mention a few things. 1. Communicate like an adult when you reach out. Use a professional tone in your emails or phone calls and be brief and to the point. 2. If you don’t have a credit score, or if your credit score is low you might be disqualified from certain apartments. Depending on the landlord, you might be able to find a workaround. For example, my husband and I have allowed students with no credit score to rent from us, but we required them to pay first month’s rent, last month’s rent and a security deposit up front. 3. Anyone who signs a lease is 100% responsible for the lease, so don’t sign a lease with a bum. If you like your roommate as a person, but you aren’t so sure that they are fiscally responsible, it’s worthwhile to look into rentals where each bedroom is rented out seperately (these are rare except in college towns and low income areas). Thanks for your insight, Hannah. The post was getting long so I couldn’t include everything, but those are all good points! Living in an apartment is a huge commitment no matter how “normal” it may seem. It’s important to research and be knowledgeable about it beforehand. I’ve been doing research on where to move for my first apartment, and I’m trying to the exact opposite of those house hunter shows – trying to get lower than my actual budget to save some money. Good advice though! I think it’s important to not get too attached just like when shopping for a car. And making sure the landlord isn’t going to be frustrating is just as important. That’s your key to repairs and not having a stressful time. Good! It’s so awful seeing people end up paying more. With an apartment, it’s not worth it. If you don’t like it, you can likely move in a year when your lease is up. Safety is key, of course, but there are so many new apartments cropping up around where I am, and they cost a premium because of it. The “older” apartments are still just as liveable and sometimes $200/month cheaper. Great post. However, one thing I’d emphasize is that apartment hunting is not so much about how much you can afford as it is what is the most cost-efficient option for you. After all, though having a place to live is obviously critical, it’s still an expense. So, instead of saying, I make x amount so I can afford y, instead ask, what is the least expensive option that meets my basic needs? For some people, it might be living in a row house with 3 roommates, for others it might be living in a studio in a “less-hip” part of town. A subtle difference, but one that can amount to thousands of dollars in annual savings. I definitely agree, and that’s how we went about it, especially because everything was already priced much higher than we wanted to pay. It was still within our budget, but I wanted to pay the least amount possible! I’m still living in my first apartment. I got extremely lucky by finding the place on Craigslist. The property manager is very nice. They don’t have any crazy rules. I was also able to pay my rent last year one month due to financial difficulties. Glad you’ve also found success with Craigslist! I enjoyed renting from a private owner as they do tend to be more lenient, and there’s usually less paperwork involved. It was nice that they were close in case anything went wrong, too. Doing a lot of thorough research would be definitely the first thing to do. Having a good negotiation is really important too. Oh yes, it definitely pays to negotiate before signing any papers. I wish more people would. I don’t think a lot of people realize they can negotiate their rent! When our lease was up we asked for a discount as we had encountered several maintenance issues, and they were able to cut the increase in half. It’s worth trying! These are great tips! I think controlling yourself to not fall in love at first sight is the most critical tip. If you succumb to this, you might do all kinds of crazy things (higher prices, compromise on must haves, etc.) that you will regret down the road! Not falling in love at first sight was the tough one for me. I was so excited to have my “own place” with my then fiancé and that contributed to renting a place slightly out of our budget. It can be really hard when you’re caught up in the excitement of moving out and “being a real adult.” You look around and think, “I can afford this!” And then forget to really run the numbers. In a way, I’m glad rent was so expensive by us, because it forced us to evaluate things. Location is really a big factor in looking for an apartment. It should be near from work so that it would be less stressful and I could save much money from transpo. When I was looking for an apartment, I really didn’t fall in love at first sight, which resulted in finding the apartment that fit my needs. I agree, Jayson. We were “lucky” that we relocated specifically for my fiances job, and I knew I’d be trying to make working from home a reality, so being close to his job was on top of our list. He has a pretty short commute compared to his coworkers! This is a great guide! I’ve rented a couple of apartments over the years and mostly had good experiences. One thing I’d strongly encourage people to do is to read the entire lease (and any other papers) before signing. If there’s something you don’t understand or doesn’t seem right, ask. Every landlord/leasing office seems to have their own particular quirks of how they do things, and you don’t want to be caught with extra fees or problems later because you signed without understanding your lease. I couldn’t agree more, Gary! I went through and read our lease papers. It honestly didn’t take me that long and it wasn’t too hard to understand. It’s worth knowing what you’re getting into. Additionally, we had received a “special” on the lease, so it was really important to make sure that special rate was listed everywhere in the lease, just in case.